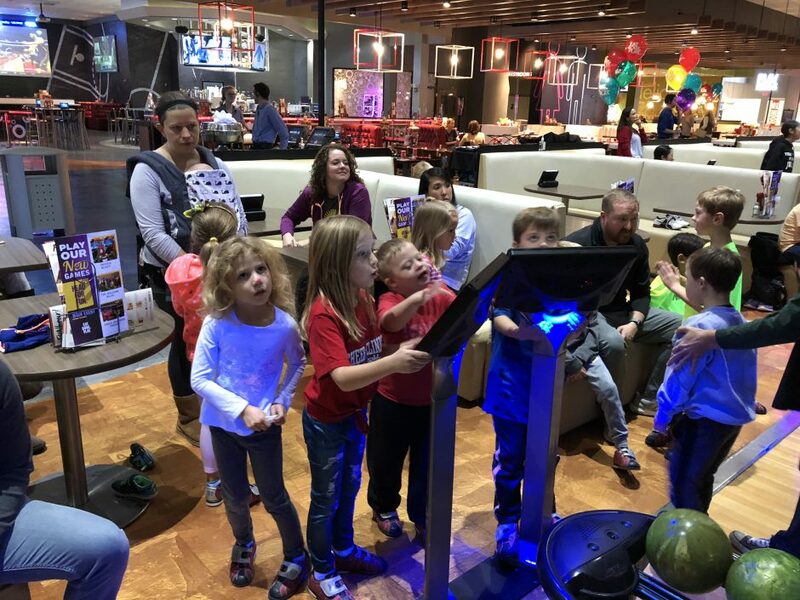 It Was a Happy Birthday Party at Main Event for Our 7 Year Old Son! 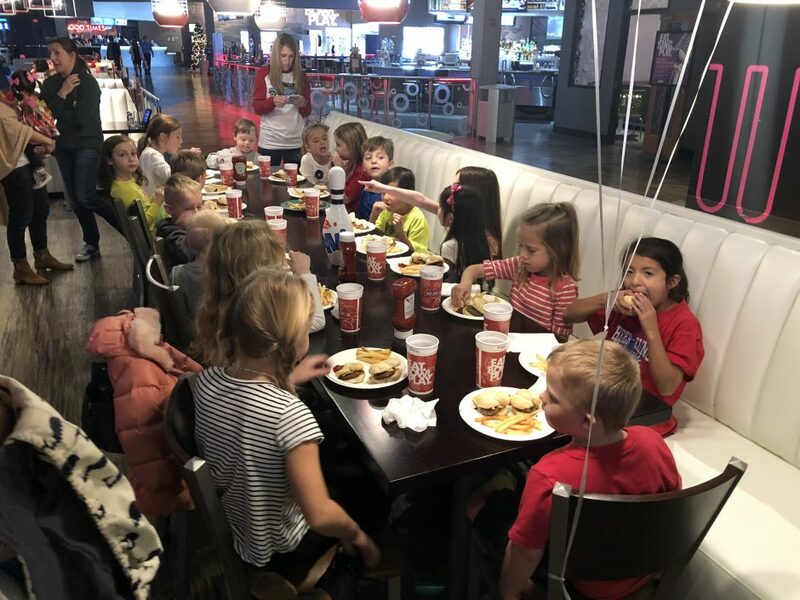 Noah’s 7th birthday was on Friday days ago, but because Friday was a school day, we ended up having his official birthday party the day after. (Check out the letter I wrote him for his 7th birthday.) 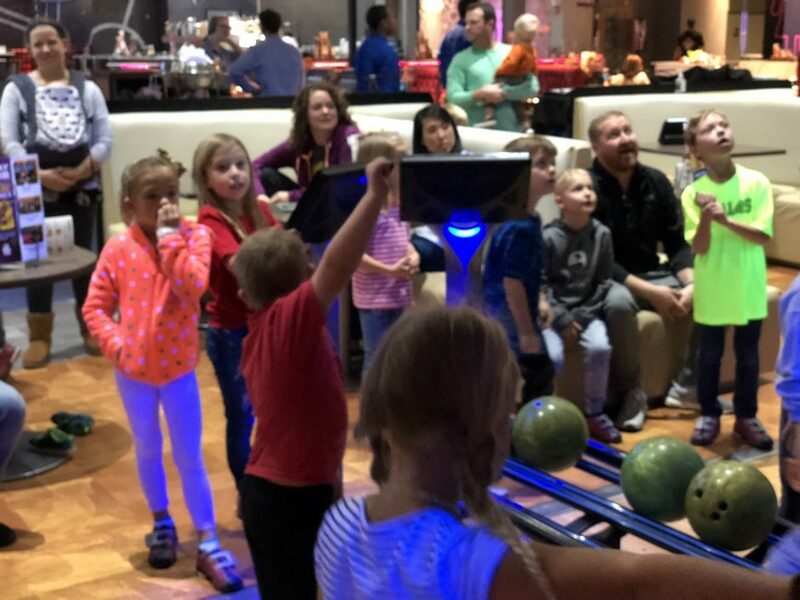 We had his birthday party at an entertainment complex near where we live called Main Event, which is one of those places with bowling, videos games, food, etc. 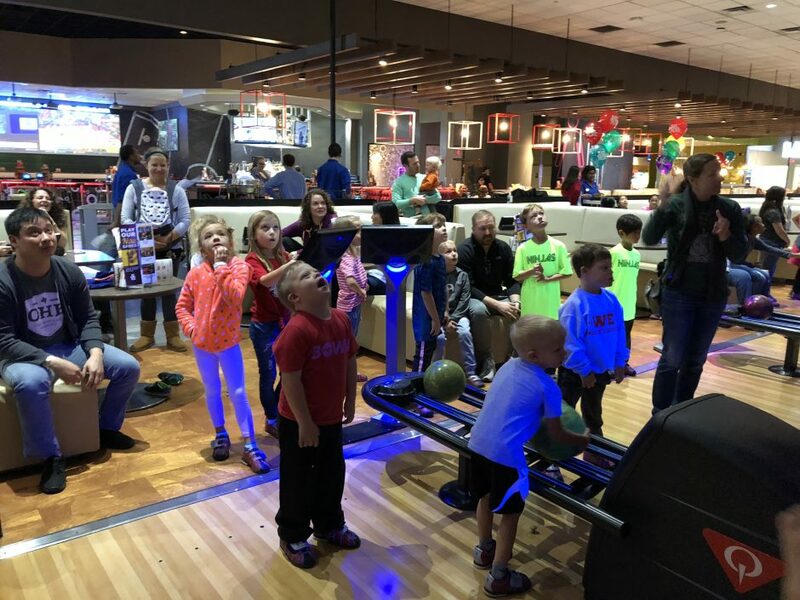 It was super fun, and if you’re considering using Main Event (or a place like it) for a birthday party, I give it two thumbs up! Click play on the video below for some of the highlights of the party! 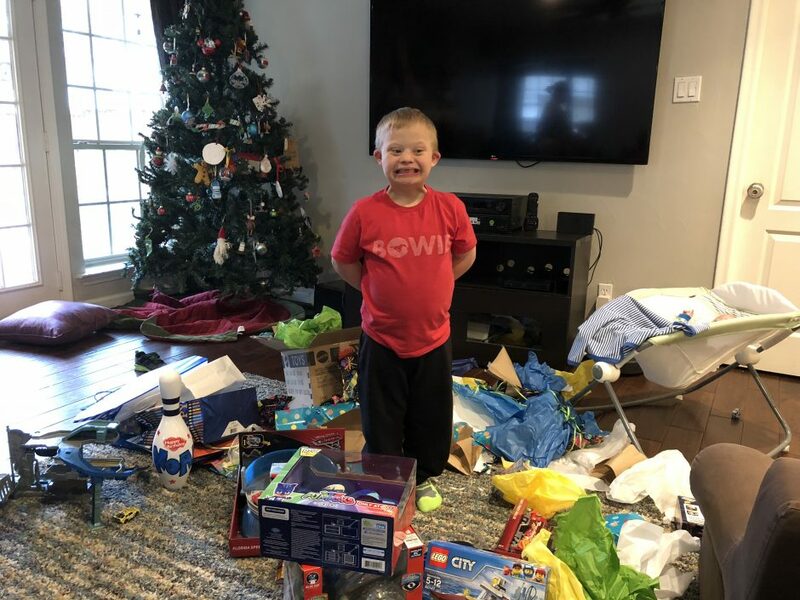 Some of Noah’s greatest gifts! Noah has some great friends! 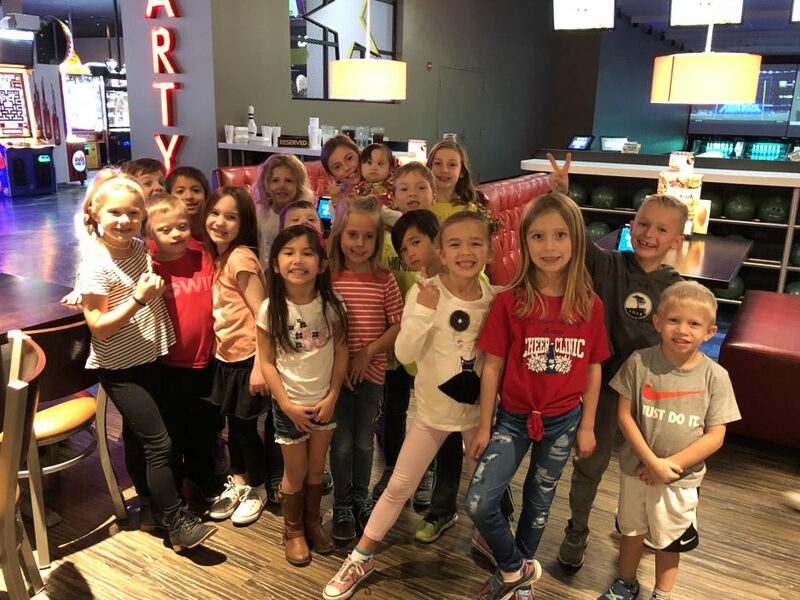 As you can see in the picture above a good number of Noah’s first-grade classmates joined Noah at his birthday party! For those of you who don’t know, Noah is in first grade at a local public school. He spends a good amount in the general classroom (read: an inclusive classroom) with typical children and some time in “pull out” where he is taught in a much smaller environment to help him learn. Noah is fortunate to have some amazing teachers who love him, care for him, and want him to succeed. We’re thankful for them! In addition to his great teachers, he has some amazing friends! If you’re a new parent of a child with Down syndrome you may worry about the day your child goes of to school. How will the other kids treat him? Will he fit in? Get picked on? Bullied? Laughed at? Or (insert any other fear here.) Those feelings are normal, but I want to speak to you from the “future.” Kids are great! Like, really great. Noah’s classmates don’t treat him as the “kid with Down syndrome,” but rather just as their friend. They look out for him, help him, protect him…and it encourages me anytime I see his friends being friends to him. 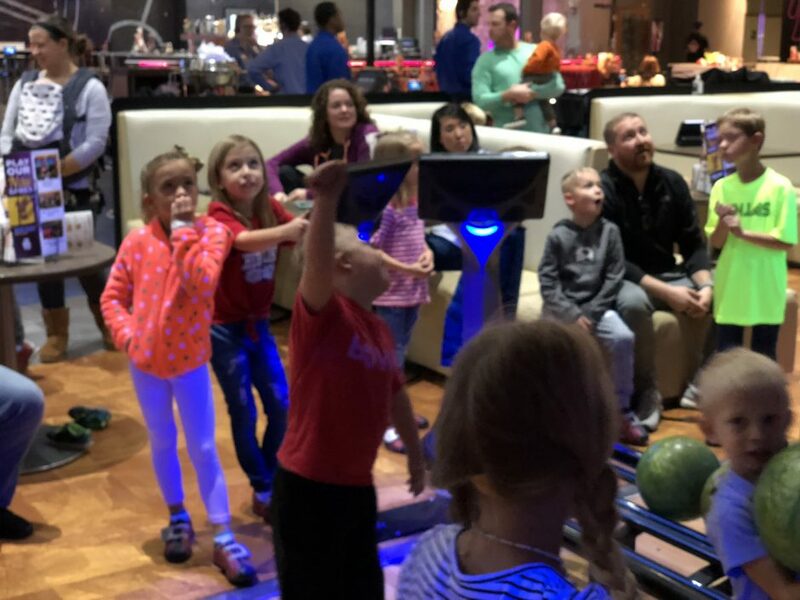 As you can see in the video I shared above, Noah and his friends played bowling, ate some sliders, and played some games…in other words, they were…kids. 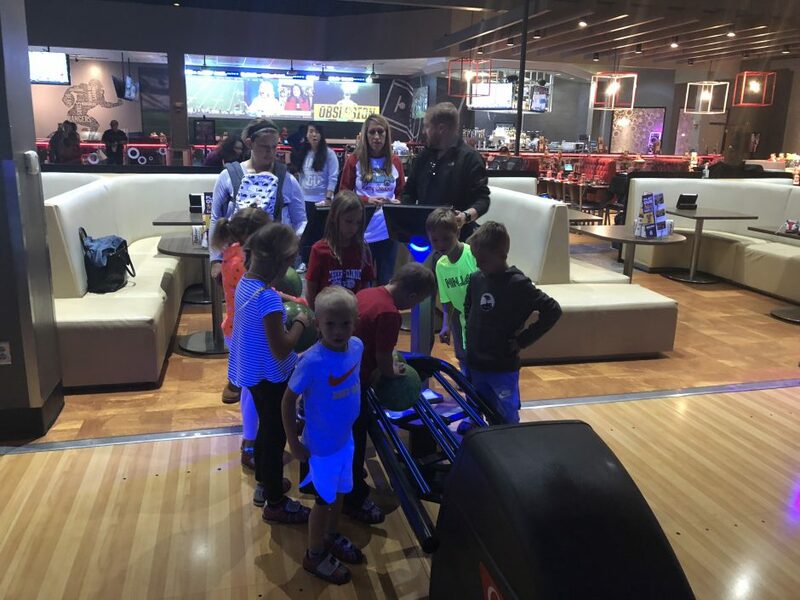 I know these children are too young to understand what their friendship means to Noah (and to our family) but it was the greatest gift he received at his party. Here are some moments from today’s fun! 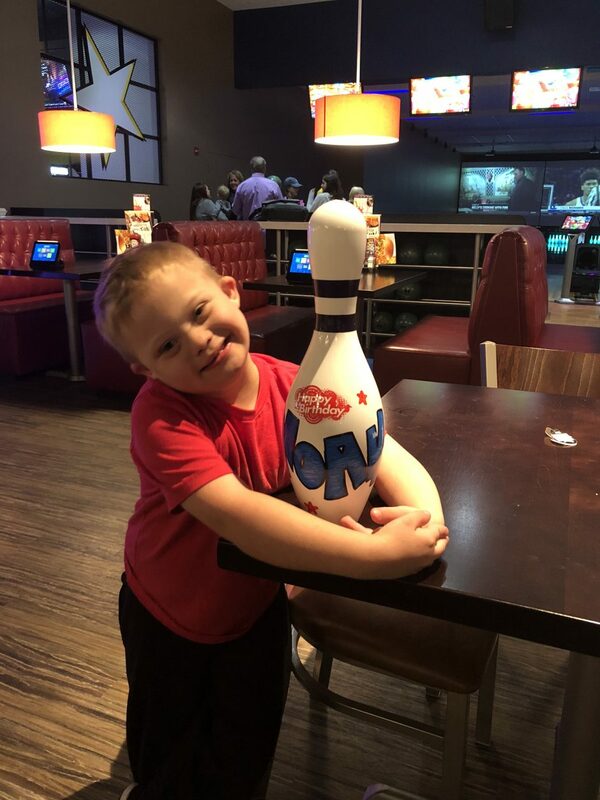 Noah got this awesome bowling pin from Main Event for his birthday! 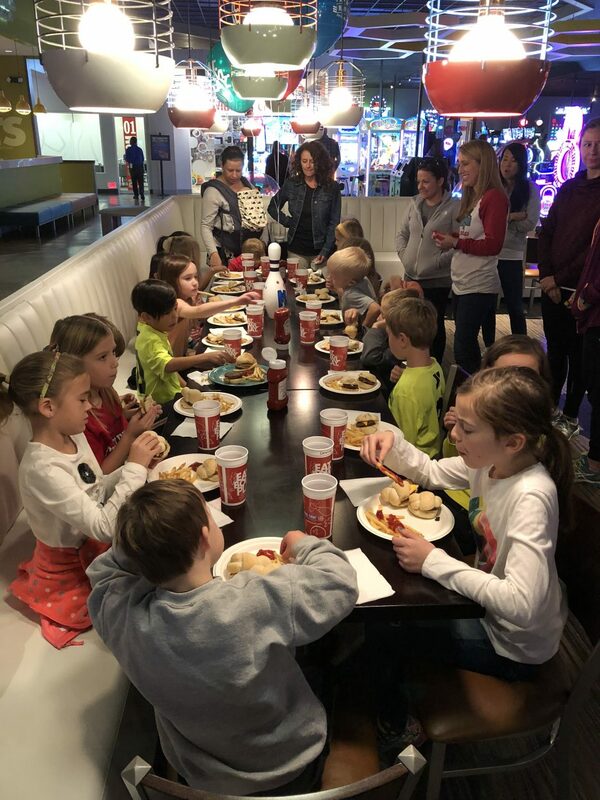 We are so appreciative of all of Noah’s friends and teachers, and we’re excited that Noah has a great group of friends to grow up with. 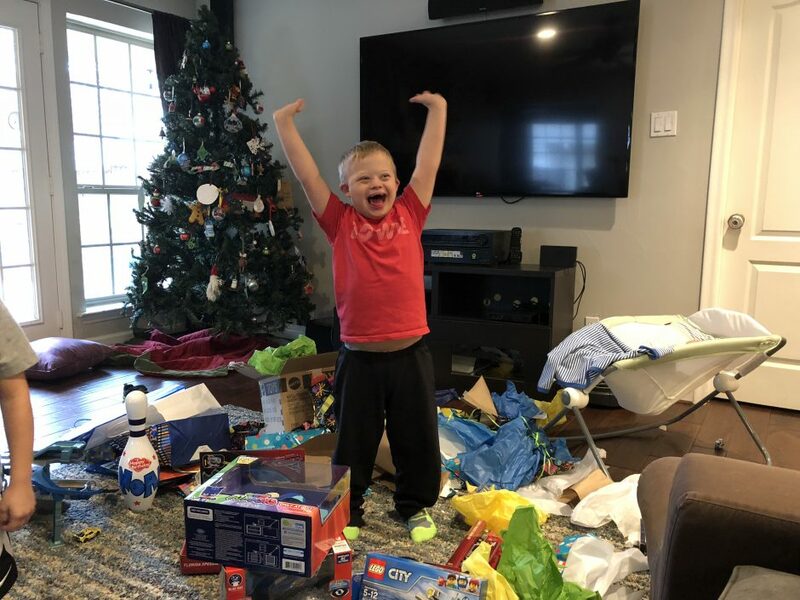 They really are some of his greatest gifts! To all of the parents of younger children reading this post, do you worry about your child going to school? To parents of children in school, how do the other children interact with your child? Leave a comment and share your experience! I really enjoy your letter??? ?, my sweet sister had down ,I missed her so much. You and your wife are doing great. Hi Pat, thanks for your comments. I’m sorry to hear about your sister, she sounds great! I hope you and your family have a Merry Christmas as well! This story is wonderful — as the parent of a one-month old with ds, it’s hard to calculate the amount of worries swirling through my head. The fear of how he’ll handle school and what his social relationships will be like ranks high on the list. Thank you for sharing your story. This helps. Hey Gordon, I totally understand that! Let me encourage you though, that Noah’s classmates really treat Noah so well. He’s loved by his peers! 🙂 How is your little one doing so far! Congrats, by the way. Monte had a wonderful time celebrating Noah! Hi! I’m from Uruguay. It is an honor to read all your posts. I’m a teacher and i want to learnd about ds.